This little tidbit really hit home with me as my friends and I often post our little annoyances with work on either Facebook or Twitter. 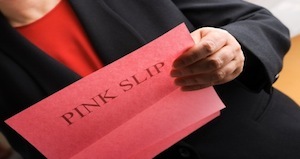 It seems that if your boss gets wind of your social media complaining you could find your self picking up a pink slip the next time you are in the office. The National Labor Relations Board has accused American Medical Response, an ambulance service based in Connecticut, of illegally firing an employee after she posted some criticisms about her supervisor on her Facebook page. This is groundbreaking as it is the first case in which the labor board has stepped in on behalf of a workers right to criticize their boss on social networking sites. After the board filed a complaint, American Medical Response claimed they fired the medical technician because she, amongst other things, violated the policy that bars employees from depicting the company “in any way” on social media sites. The company claims this includes discussing a supervisors actions or lack thereof. The act gives workers federally protected rights to discuss working conditions or unionization, and the labor board says that the company’s Facebook rule is “overly broad” and limits employees rights to talk about working conditions or the nature of the job amongst themselves. It seems as though American Medical Response has put a bit of a microscope on themselves as the board also notes another company policy may be a lawsuit in the works. The policy in question prohibits employees from making “disparaging” or “discriminatory” comments when discussing the company , supervisors or co-workers. Needless to say this is another big no no as far as the Labor Relations Board is concerned. Whew!! What a mess! No matter what the outcome is in this case one thing is for sure, both parties will have spent numerous hours and a bunch of money trying to sort this whole thing out. It’s no secret that companies will go to the ends of the earth to find a legitimate reason for letting someone go even if the real reason is legally questionable, but a good rule of thumb is to keep your work life at work and your personal life personal. If you follow this simple rule you will be a bit more confident your performance reviews are totally based on your ability to do your job. Have you posted gripes about your job and/or boss on social media sites? Do you worry that this may get your in trouble in relation to your job? I am curious to see where you stand on this controversial issue.